Safizym®GP60 is a powdered β-glucanase preparation for diets containing raw materials rich in Non Starch Polysaccharides. 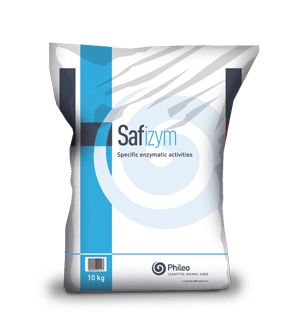 Safizym®GP60 is a highly concentrated preparations of β-glucanase, produced by submerged fermentation of a selected strain of Trichoderma longibrachiatum. in polyethylene bag, packed in cardboard box of 20 kg.